I don’t spend a lot of time talking about envelopes in my mortgage ads training materials. But let’s look at this one. This one got me to open it, which is important. I don’t know if it was curiosity or what I was thinking at the time, I usually know a mortgage ad when I see an envelope and I honestly did not think this was a mortgage advertisement. 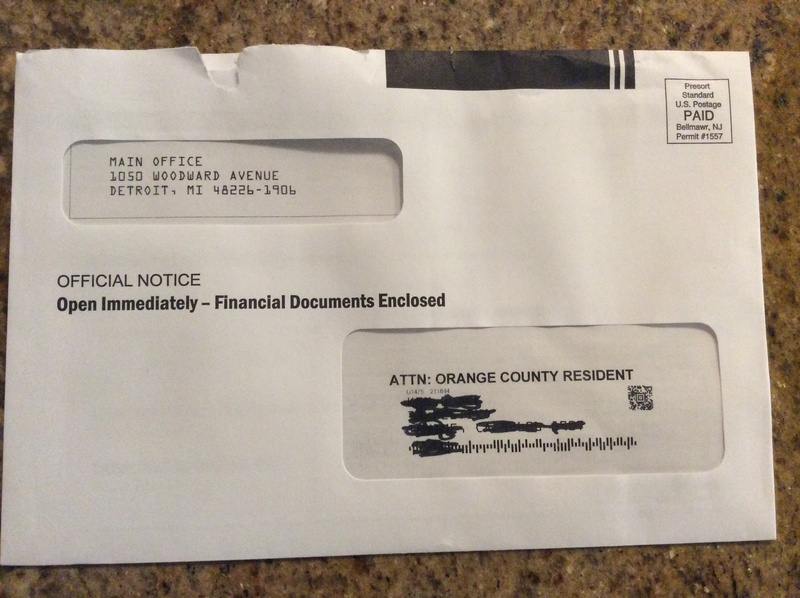 There’s a bit of trickery here with the “Open Immediately – Financial Documents Enclosed” legend on the front of envelope righy above the addressee window. Also, the sender’s name is not really disclosed. This lender is a bit aggressive on the notion of disguising the true identity of the sender and the business purpose of the mailing piece. but overall I’m impressed and I think this works for getting the recipient to open the envelope. And yes, by the way, the mailer is from Quicken Loans – they are always changing it up to see what works.